Cotmore is the Hall Family's Hereford Stud Name. 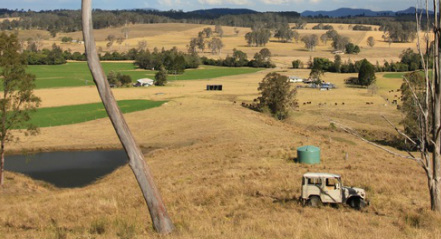 Cotmore Downs is tucked away on a tributary of the Clare﻿nce River ﻿in New South Wales' Northern Rivers region. 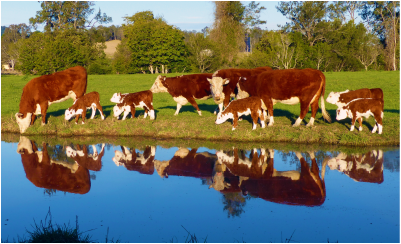 ﻿ Located within sight of the The Gondwana Rainforests of Australia World Heritage Area, this ﻿beautiful property is breedi﻿ng o﻿ne of the world's oldest herds of Traditional Her﻿eford Cattle. It is close to Bri﻿sbane and the Gold Coast as well as Lismore and Tenterfield. Cotmore Downs is this life long dream of Peter and Hellen Hall. 30/05/2015 - Breaking News! Cotmore William II [*], Cotmore Richard IV [*] and Cotmore Beauty VII [*] registered. First Cotmore Herefords registered since 1929. First showing at Primex, Casino - June 18th, 19th and 20th.